Ingredients: chestnuts, rum, milk, cocoa or chocolate, cream, flour, vanilla and sugar. The origins of this dessert are to be found in the Savoy family cuisine: the abundance of chestnuts and sugar prompted court chefs to invent a tasty and easy-to-make dessert. 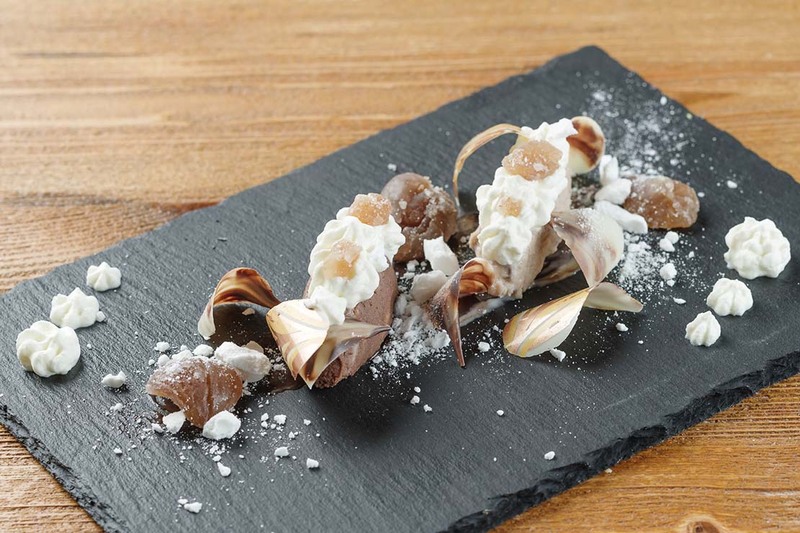 The chestnuts puree covered with whipped cream represents a delicious miniature of the Alps. You can choose between the original version and the revisited one, with cocoa and rum.